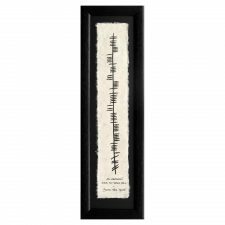 Individually painted Ogham on handmade paper in a lovely contemporary black wooden frame. 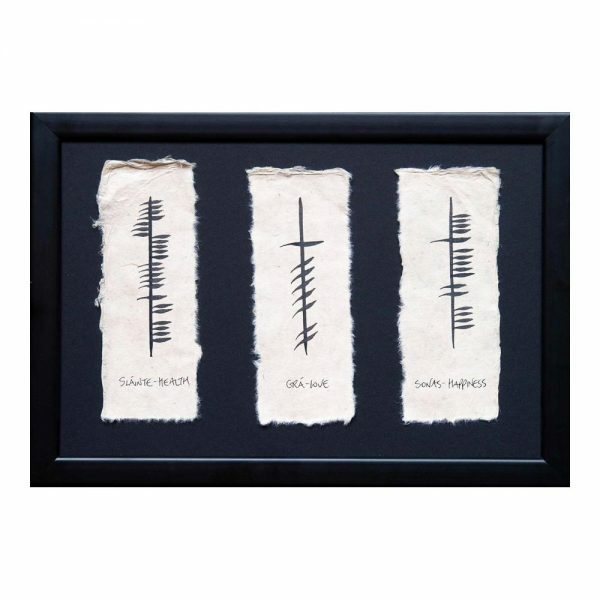 Celebrate Ireland’s ancient culture and heritage with this beautiful Ogham gift. Dimensions: Each individual ogham on handmade paper = 8 cm x 20 cm, all three Ogham in a 11 cm x 15.5 cm frame. Black writing on cream handmade paper, on a black background and in a black wooden frame. Each Ogham gift is accompanied by an explanatory text outlining the history of Ogham writing with the Gaelic and English translations. 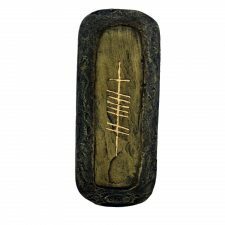 Ogham is the earliest form of Irish writing dating from the 4th century mainly. There are over 350 Ogham stones that have been discovered, it is also believed that Ogham was considered to be a magical script with inscription on wood similar to wands, however there are none in existence to confirm or deny this. It is thought to have been widely practiced by the ancient Druids as a form of sign language as the letters had no more than five characters which could be easily replicated using their hands.